In preparation of today's webinar (check it out, it is a critical one! ), I have been mentally writing a blog post entitled "Mistakes you should avoid at all cost when organizing your next webinar" or something like that. One thing that I always tell my clients is, it is important to collect blog subscribers and leads first before running a webinar, because nowadays it is hard to get people to come to your webinar, even though what you have to say is really, really good. But now, the question is how do you do that? Since we focussed a lot on lead generation lately, I want to give you five quick and dirty ways (and most of them are free) that you can use today if you want to sign up more blog subscribers (that could potentially become leads down the road). First and foremost, look at your website. How many opportunities are there for your visitors to subscribe to your blog? If I have never been to your blog, is it apparent how to do it? Ask a family member or friend (someone not in your company) to look at your blog page and website and let them show you how they would go about getting blog posts delivered from you. 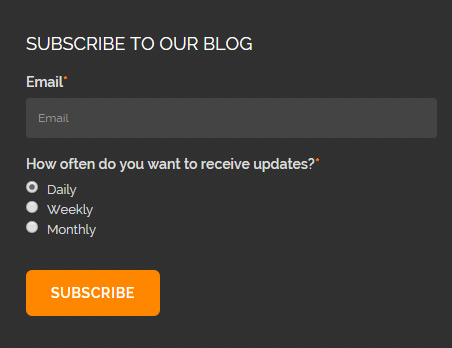 Great spots to place a blog subscription form is in the sidebar, the footer or under each blog post — depending on your web design and preferences. If you are a regular reader of marketing blogs, I am sure you have seen this little banner before: the friendly little Hello Bar. This easy and lightweight tool allows you to direct your visitors to a particular landing page or prompt them to sign up for your blog. It can be set up in a couple of minutes, and you can install it by copying a code snippet into your header section or by using their WordPress plugin if your website is WordPress based. Your contacts are collected within the app, so you will have to check back and manually import them into your marketing automation tool of choice. The tool is free, but offers white labeling as well as more targeted options if you upgrade. LeadIn is a nifty little but powerful tool that can answer two of the most crucial questions a lot of marketers have: Who is visiting my website? What pages did they view before and after the become a lead? Developed by HubSpot, it gives marketers on a tight budget a lead generation tool, and it provides the context you need to follow up with them. There are many ways you can use this: to sign up people for your blog, to offer them a free eBook or even let them register for a webinar. Pro Tip: Make sure not to bother your visitors with unwanted interruptions. If they want to read your content, don't distract them with a popup. Either opt for a 30-60 second delay, or even better go for the "Scrolled past 50% of the page" or "Exit Intention". This is a great option if you have a lot of landing pages, but you are not including blog sign-ups yet. 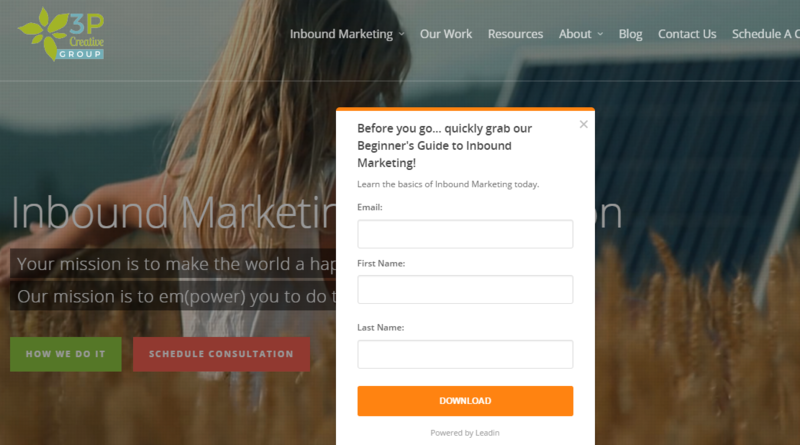 If you are a HubSpot customer, you can simply navigate to your form editor and add the field to opt into the blog. If you are not, you might need to have a work around, but it can be easily done. It is crucial to use common sense here. Don't force people to sign up for the blog by making it a mandatory field. Also, this is more suitable for short top-of-the-funnel forms as it would make bottom-of-the-funnel forms (e.g., a demo request) very long. Last but not least, you can promote your blog on Twitter! This option is not free, but can be very effective for gaining subscribers. Simply create a lead generation card with a great image, an offer (in this case, great content for the blog subscription) and compelling text of why they should sign up. Then you would advertise it like you normally would to your targeted audience, i.e. users they follow. Since this is being done through Twitter, the user's information will be preloaded, so if they want to sign up it will be as easy as one click for them. You get their email, name, and Twitter handle, and best of all this will most likely not be "fake" information. What quick and dirty ways do you use to get more blog subscribers?